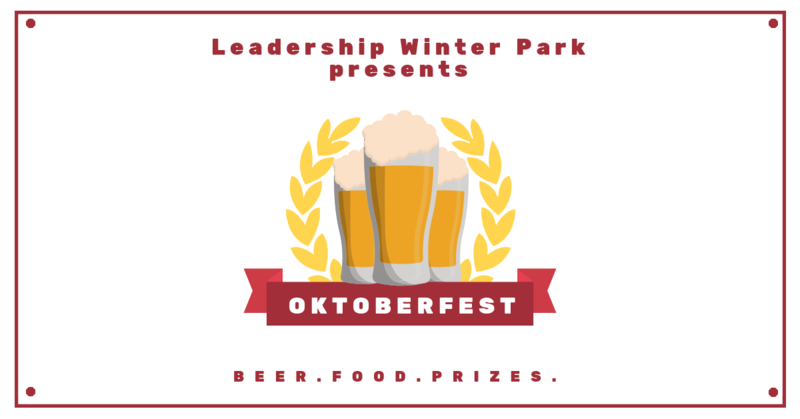 Join us on Wednesday, October 24th from 5:30 p.m. - 8:00 p.m. at the Winter Park Farmers' Market for our 4th annual Oktoberfest hosted by Leadership Winter Park. Savor authentic German delights, seasonal beer & wine, sing along with the lively Oom Pah band, Alpine Express, and partake in festive activities that include men & women’s stein holding, yodeling and a costume contest! All proceeds benefit the Winter Park Improvement Foundation. Online registration for this event is closed. Tickets are still available for purchase at the door.